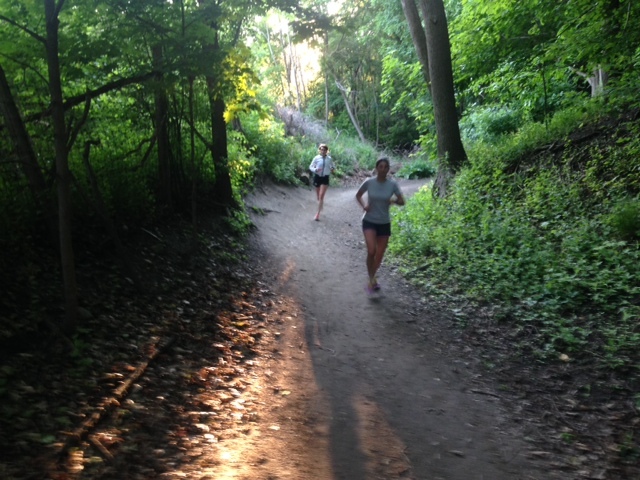 This week’s sessions focused on how to run the different types of hills. The short hills that require a bit of a burst, the rollercoaster type hills which allow you to use gravity to build momentum and then give a bit of a acceleration coming out of the trough and those tough tough long hills with moderate inclines which generally knock the stuffing out of you. 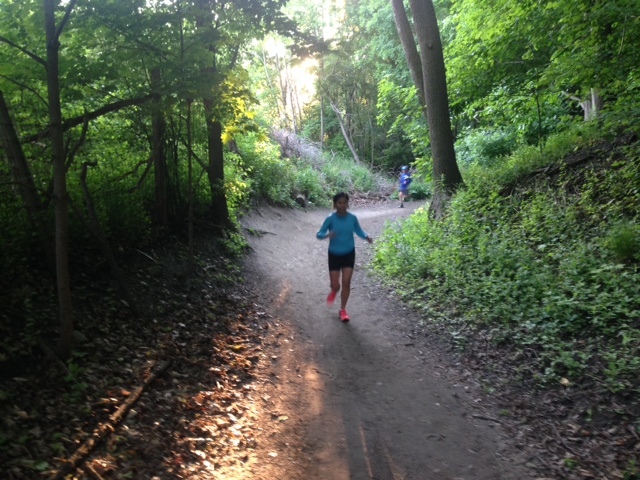 This week seem to give folks a good idea of how to pace effort instead of pacing speed. We worked on shifting gears like one would on a bike. 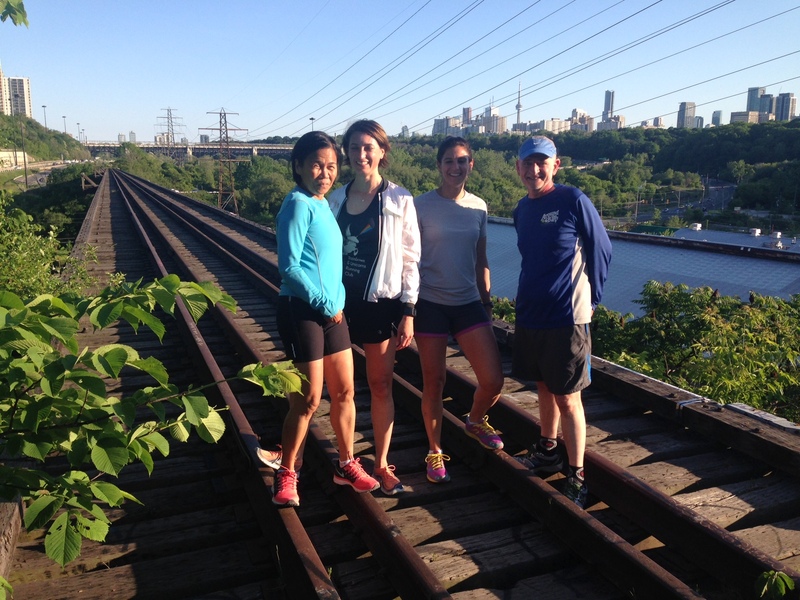 Shorter strides for steeper hills. 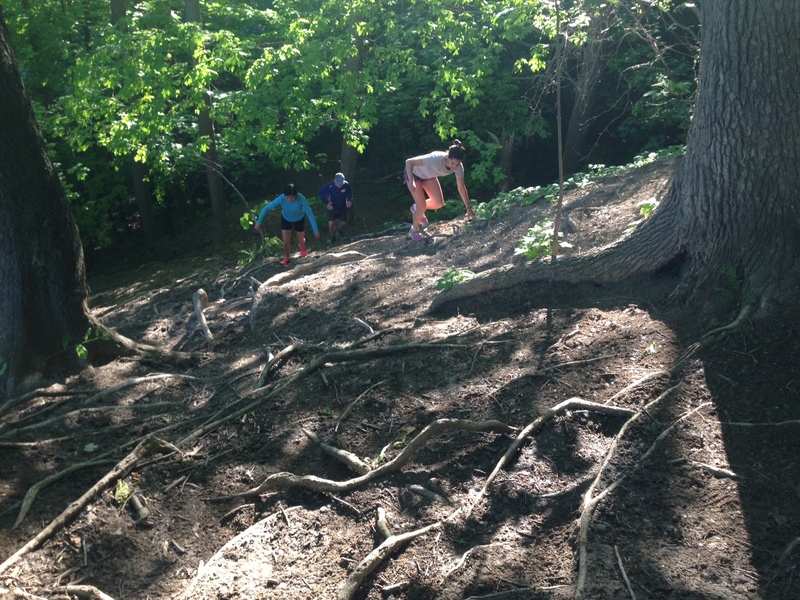 I was amazed how fast our groups were this week. 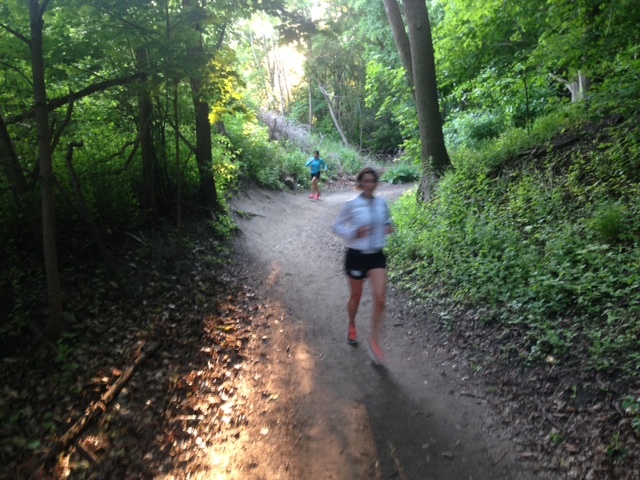 Our runners were just flying down the trails and the stride lengths were terrific. We did a footwork drill on the old abandoned railway and felt a bit of the burn. 1. When running hills never bend at the waist. As you tire your form begins to breakdown. You often begin to hunch over and lean into the hill from the waist. This impedes the full expansion of the lungs and takes away oxygen when you need it most. Maintain your posture. 2. Think of your stride as bike gears. When you face hills that are steep, gear down and don’t overstride. 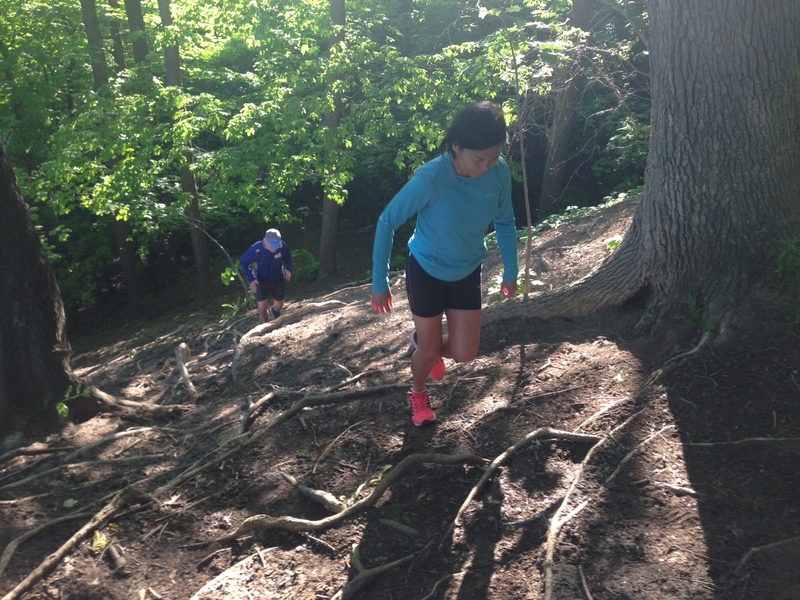 You want to get to the top of the hill able to continue running not completely spent. Storming through the sand and a story.